Here we see the holistic and coherent cascade of phases and models that POET defines, from Strategic intent at the top, down to deployed change at the bottom, and how the Zachman Models and Perspectives relate to them. 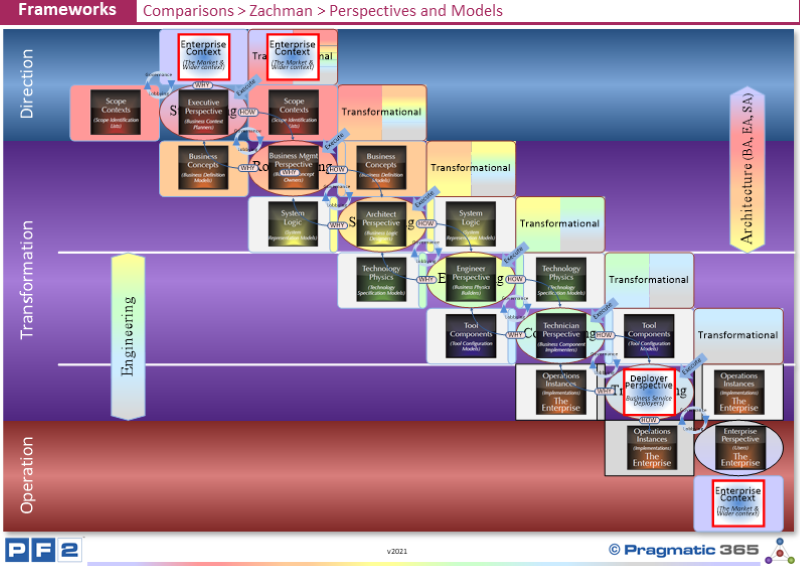 Zachman only references the perspectives, and not the transformations that need to occur at each level. In addition, Zachman also only references current state information related to each perspective and not the target (or intermediate) Structural states. Do you agree that Zachman’s (corrected) perspectives map one to one with POET phases? If not, how would you map these things?